Ideal to use in the classroom when learning about counting, addition facts, place value and odd and even numbers. Select and download the full colour or black and white version for your class. Use counters or objects to model counting, basic addition facts and other number concepts. 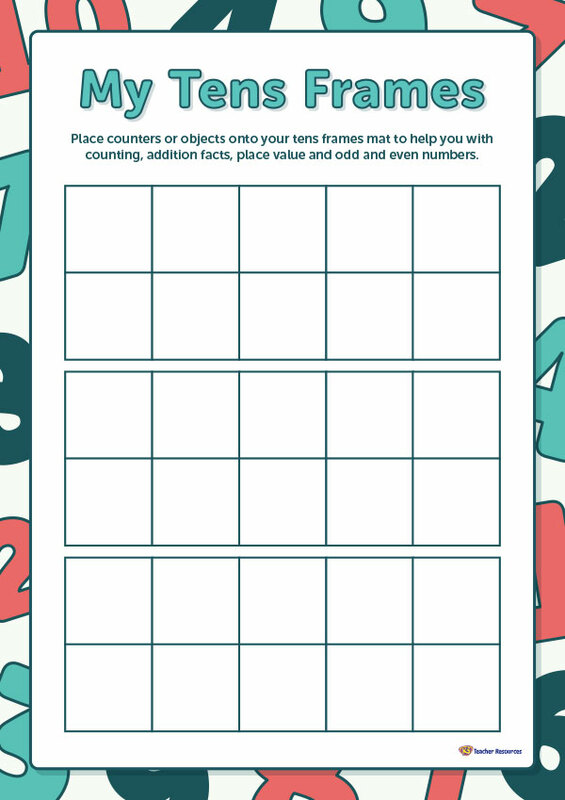 Ask the children to use their tens frames mat during maths lessons as a scaffold and to check their answers.